This October 24, make sure to bring your brown bag lunches to work because it’s National Bologna Day! Everyone’s favorite processed luncheon meat has its own day. Bologna is named after the Italian city of the same name, but down there they call it mortadella, which is a sausage with bits of lard and peppercorns in it. American Bologna, as you may have noticed, is distinctly different, but no less loved the world over. 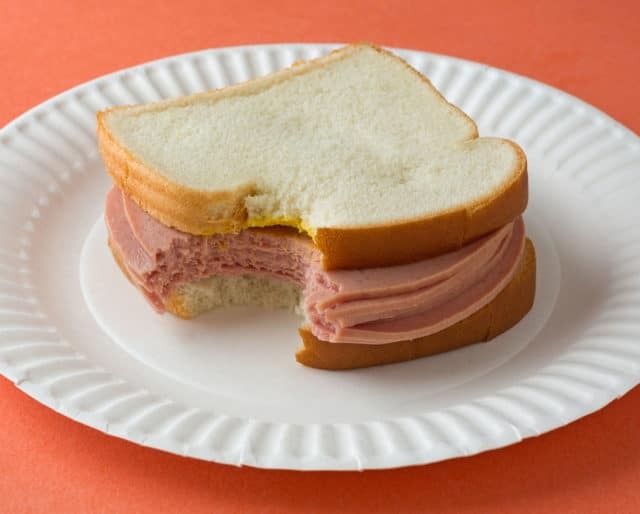 How else should you celebrate National Bologna Day than by enjoying it the way it was meant to be savored- between two slices of bread! But on this day, why not try something new? Why not fry it up and top it with an egg? Or how about you pull out that panini press you never use and cook it up topped with a slice of cheddar! That right, you don’t need a giant assembly line to make your own bologna. In fact, bologna doesn’t even require that many ingredients. All you need is ground beef, a sugar-based curing mixture, garlic and onion powder, and finally, liquid smoke for that distinct taste. Mix it all up, mold it, and throw it in the oven. In an hour you’ll have your very own bologna to celebrate with. This is actually not a joke, it’s a real thing. Bologna cake is exactly what it sounds like. You take slices of bologna, layer them, and use cream cheese for frosting. Spray some canned cheese for decoration and serve with crackers. It may seem crazy, but you’re sure to have the most impressive party platter- that is until someone brings the hot dog sculpture. Bologna, mustard, white bread, those three ingredients make for the cornerstone of a classic school-time lunch. There’s just something about bologna that kids love. Pair it up with a string cheese and some fruit snacks and you can guarantee your kids will have plenty of energy to get through the day. Bologna is more than just Oscar Meyer, bologna actually comes in all kinds of styles and flavors. We’ve already talked a bit about mortadella, but there’s also German bologna and Lebanon bologna which are distinctly different. There’s even something called polony which is popular in South Africa. Of course it’s important to eat healthily, but sometimes you just have to indulge in a guilty pleasure, and that’s where bologna unapologetically comes to the rescue. In a world where everything is either cholesterol-free or fat-free, bologna isn’t afraid to be itself. That being said, it is gluten-free if that’s your thing.